Include staff and providers at all levels of the organization. Executive leadership, management, providers and front-line staff are all key players who need to be engaged with defined roles and responsibilities during and after implementation. An engaged team willing to support the change is the biggest contributor to successful adoption. Front-line staff and providers are the key influencers of their peers and will recognize enabling factors and identify potential barriers before they are operationalized. They are the best source of truth when it comes to assessing adoption. Existing workflow issues, if not addressed, will become more visible with technology. Utilize the technology to eliminate redundant, time-consuming processes and consider re-engineering staff roles and responsibilities that are replaced by the technology. Organizational change is becoming more frequent resulting in the need to continually evaluate and revise communication strategies. Communicate the overall benefits of the EHR implementation and technology to help each member of your staff understand how they will personally benefit by it. Informed staff and providers are more likely to stay engaged and work together to achieve success. Clearly define and communicate the factors critical to success and create a metric plan to gauge success and improve your processes after the EHR implementation. Utilize metrics to monitor adoption and focus on areas of opportunity for further education, system, and/or process redesign. Staff will likely not remember everything that is taught. Metrics allow you to identify and intervene with individuals who may be struggling with the transition and/or help prioritize areas of intervention. A repeatable methodology to address issues and opportunities allows for a consistent, efficient process. Executives, management, clinicians and providers will be accustomed to a consistent methodology and are more likely to embrace it when they understand and can anticipate it. Expect that optimization will be an ongoing need and efforts will still be needed after the initial “go live” to make it stick. Existing technologies will be constantly replaced with new and improved enhancements, and/or opportunities to improve initial design will be realized. Allocating optimization resources on the strategic roadmap and budgeting process will ensure resources are available to support existing technologies, while new required functionalities are being implemented. Clinicians and providers will have an understanding that there is a dynamic process in place to address their needs. Ultimately, success depends on having well-trained, well-prepared staff not only inside your practice or institution, but also having an expert team on hand with deep experience in EHR implementation, optimization and adoption. 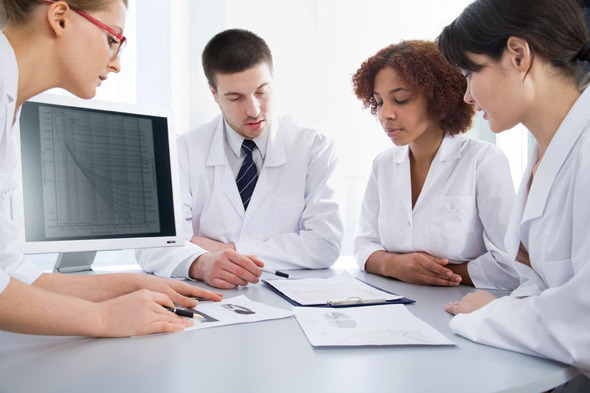 Engaging proven professionals to assist with your efforts and train your staff on a repeatable proven methodology will ensure you are in a place to satisfy your clinicians and providers, serve your patients, and meet regulatory standards. In summary, success is all about the people you have on your EHR implementation and optimization team using a reliable methodology. You must intentionally manage the cultural, behavioral and organizational changes that need to happen to make the EHR fully functional and gain the intended value. At HCI, our experienced team understands this and can provide a methodology and appropriate resources to ensure adoption and success with your efforts.